In case there are unexpected damages during delivery, please do check before you sign for the package. Small orders are also welcome, but the unit price is also difference from wholesale price. If you have other inquiries, please contact us to talk more. 2. Innovation&mdash;&mdash; We have the independent developing department to get latest products information , providing customers with more information needs of product development and design creativity. Q:Can i get the sample order 9 A:yes ,we welcome sample order to test and check quality,mix sample are acceptable Q:How do you ship the goods and how long does it take arrived9 A:we usually ship by DHL,UPS ,FEDEX or TNT. it usually takes 3-5 work days to arrive Q:How to proceed the order if i have logo to print9 A:first, artwork for visual,confirmation and next is sample ,picture or sending sample to you Contact us Goodadv. 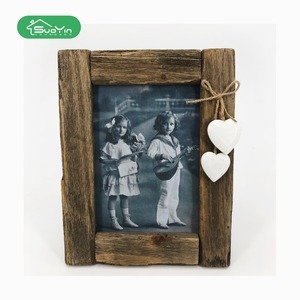 Item name square love heart opening wood foto picture frame table version Item No. wooden items: hand antiqued over 20 years experience 2. 100% On-time shipment protection 2 . Why choose Luckywind to serve for you9 We have rich experience in designing & producing antique-look furniture and home decoration. wood box, wooden frame box, tea box, wooden tray Quick Details Material: Wood Type: Paulownia/Pine Product Type: Photo frame Technique: Polished Style: Antique Imitation Color: Customize make Theme: Natural and helthy Size As your requirement Place of Origin: Shandong China (Mainland) Brand Name: Forester Model Number: F16 Packaging & Delivery Packaging Details: standard packaging or as your requirement . Delivery Detail: 8-25days after comfirming sample and receiving deposit Specifications 1.Natural wood box and wood package 2.Made of pine, paulownia, poplar, fir, etc 3.FSC certificate 4.OEM design 5.DIY Photo show wood box,wooden frame, packing box, gift box, jewellery box 1. Reliable quality and competitive price 2. Size :various dimensions and OEM service 3. Design as your requirements 4. Coating :matte or glossy painting, antique burning, stain 5. Logo :stamping,screen print(1C, 2C. 6. Samples available box specifictions: item wood box Real wood paulownia wood, pine wood, poplar wood, fir wood Cheap material plywood, MDF, wood veneer insert empty or according to your requirements dimensions various sizes available. Wooden with linen cloth photo frame Home Decoration desk decorative with linen bowknot Item No. SY-0238 Material: MDF+ribbon Specification: 25.5x1.2x23.5cm Color: as picture or customized FOB Port: Ningbo or shanghai MOQ: 500pcs unique per design Sampling: 7-10days Delivery: 30-45days using : gifts ,decoration in home or office ,shop Welcome To Inquiry! In order to make sure what we make is you wanted, we will keep following the production. Remarks: 1.Customized designs and logos are welcome . 2. Extensive range, can be developed to meet the customers' needs. 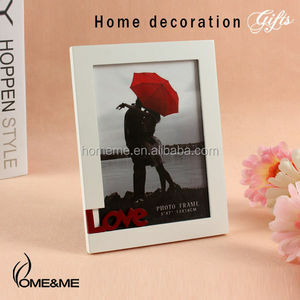 Alibaba.com offers 643 heart design photo frame products. About 49% of these are frame, 3% are folk crafts, and 1% are other home decor. 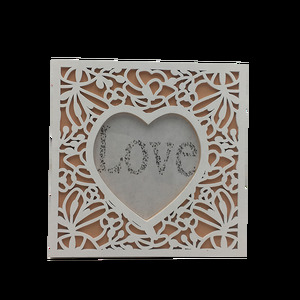 A wide variety of heart design photo frame options are available to you, such as photo frame, painting frame, and mirror frame. You can also choose from acrylic, wood, and metal. 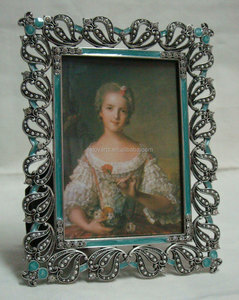 As well as from holiday decoration & gift, home decoration, and art & collectible. 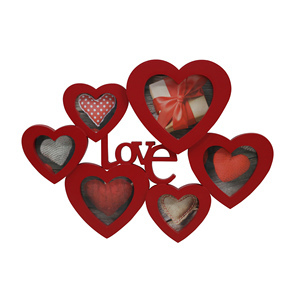 And whether heart design photo frame is folk art, nautical, or artificial. 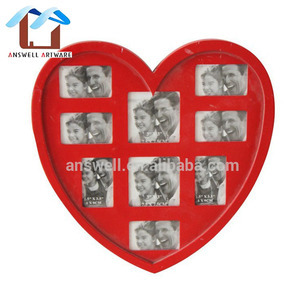 There are 568 heart design photo frame suppliers, mainly located in Asia. 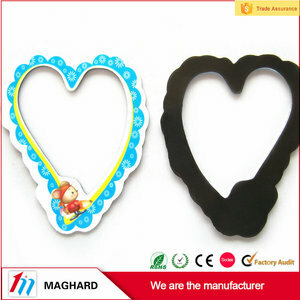 The top supplying countries are China (Mainland), Hong Kong, and India, which supply 95%, 2%, and 1% of heart design photo frame respectively. 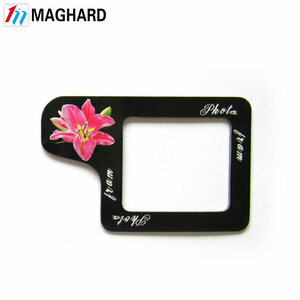 Heart design photo frame products are most popular in North America, Western Europe, and Eastern Europe. You can ensure product safety by selecting from certified suppliers, including 76 with Other, 39 with ISO9001, and 13 with BSCI certification.